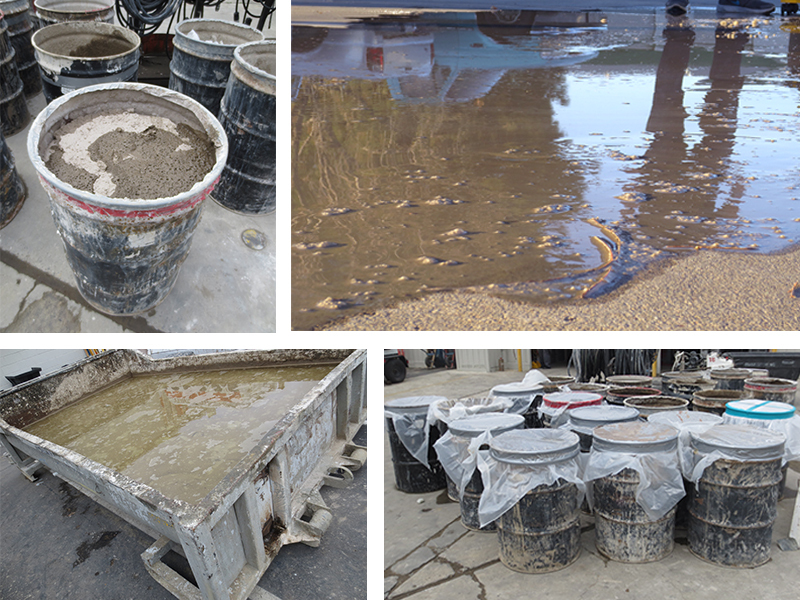 In the construction industry, sometimes dealing with concrete slurry is unavoidable. What is concrete slurry exactly? It is the mixture of water and concrete solids that result from concrete grinding, cutting, or coring. Unfortunately, concrete slurry waste is prohibited from being dumped straight down the drain, due to its harmful nature. Thus, what is the proper method for slurry disposal? Why Should We Dispose Slurry? Before we learn how to dispose slurry, we need to discuss why. Without understanding why concrete slurry waste is unsafe, the act of disposing it will seem mundane and meaningless. Every state has different rules and regulations when it comes to proper slurry disposal. However, the devastating effects of leaving concrete slurry exposed and neglected by contractors are universal. First, when the concrete slurry is allowed to run down pipes, they erode the pipes quicker while creating a water blockage or a flood. Second, if the concrete slurry runs into the storm drain, it will negatively affect the ocean because they are directly connected. Concrete slurry can be highly alkaline with larger pH levels. Thus, if it were combined with the ocean’s delicate biosphere, it can cause serious harm to the aquatic life. Even if there was no storm drain present and the concrete slurry was left to dry, the wind will spread the slurry particles over grass, lakes, streams, and ocean. It can even mix into the very air we breathe. Why does it matter if the slurry particles end up in the grass? If the grass gets watered or it rains, the water runoff will still contain harmful slurry waste, which ends up in the storm drain. Third, the Environmental Protection Agency (EPA) dictates that we use proper slurry disposal methods, unless we would like to face up to $10,000 in fines. However, many contractors are willing to forgo the risk of fines unless there is an easy and efficient solution to slurry disposal. Gelmaxx has created the perfect slurry disposal solution. Our products are extremely easy to use, cost effective, and environmentally friendly. They do not require any equipment and the resultant material is safe to throw directly into any standard waste container. In order to reduce waste and reclaim water back from the concrete slurry, AQUAmaxx is a sufficient answer. Our slurry separator uses similar technology to slurry flocculation that allows the concrete solids to drop to the bottom while the clean water rises to the top. After the slurry separation is performed, the leftover waste can be taken care of by ECO-QUICKgel. What’s perfect about ECO-QUICKgel is how versatile the clean method can be. You can broadcast the slurry solidifier directly on the ground that contains the slurry, and use a broom or stiff squeegee to sweep up the remains. If you prefer a quicker method than sweeping, slurry vacuums are a great alternative. In the videos below, we demonstrate how you can vacuum the solidified concrete slurry straight into the Dustless machine. Or watch how to use the Ermator vacuum to recycle water and solidify the slurry with ease. If you have already collected the slurry in drums or pits, both AQUAmaxx and ECO-QUICKgel can help with your slurry disposal. Add AQUAmaxx to reduce the amount of waste and just decant the water. Then add ECO-QUICKgel to solidify the remaining concrete slurry. With both products, it is best to mix it in the concrete slurry to create a faster reaction and speed up processing time. There are abundant reasons why proper slurry disposal is important, which range from environmental risks to enormous EPA fines. Fortunately, with all these reason why we should properly dispose slurry, there are countless ways how to dispose slurry with Gelmaxx. All that is left is finding the right method for your job.